This slim book delivers powerfully on the promise of its extended title. 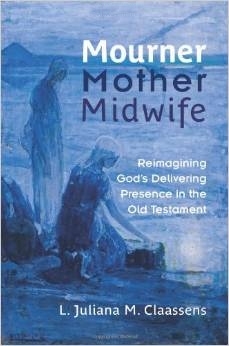 Weaving together biblical scholarship, profound metaphor, and the full range of human experience, Mourner, Mother, Midwife: Reimagining God’s Delivering Presence in the Old Testament represents a beautiful new pattern on the loom of tradition. It provides a valuable resource not only for classrooms and personal reflection but also for worship settings. The book arises from the author’s desire to grapple with violent imagery associated with God as liberator-warrior in Old Testament texts. A native of South Africa, L. Juliana Claassens is particularly sensitive to the potential for such imagery to reinforce oppression of one group by another through the claiming of God’s favor. She explores three metaphors for God – mourner, mother, midwife – that are found in key biblical texts associated with the Babylonian exile, a tumultuous time in the history of the Hebrew people that did not lend itself to quick resolution. Believers were forced to reconsider their beliefs in light of difficult circumstances. While the three metaphors are not prominent in the texts, Claassens calls them “subversive voices that offer an alternative to empire theology” (p. 9). Whenever feminine images are evoked, all too often the result can be sentimental or simplistic, but not in this work. In the introductory chapter and throughout the book, Claassens skillfully places the texts in full context, acknowledging their complexity in ways that only add resonance to the three metaphors. She emphasizes that the traits associated with each metaphor ought to be cultivated by men and women alike and should not be used to reinforce gender stereotypes. “None of the female images for God introduced in this book are passive,” she says. “Instead, all of them are powerful, speaking of courage, strength, kindness, resourcefulness, and skill” (p. 89). God as Wailing Woman, or Mourner, comes from the book of Jeremiah, where God weeps over the people’s suffering in 8:21 to 9:1. Claassens develops this image in connection with the wailing women found in Jeremiah 9:17-20 to present a theology of tears that applies equally well to traumas both ancient and modern. “The tears of the people serve as an important – quite often the only – tool to counter injustice. The tears of God, embodied in the wailing women, call on us to resist those instances where contemporary manifestations of the empire abuse their power – be it in instances of war and genocide, or where big business and oil companies abuse their power, or where unjust governments trample upon whoever is in their way” (p. 37). Cries of lament are holy and healing. God is portrayed as a Mother multiple times in Isaiah, “describing a people’s valiant attempts to survive the deeply traumatic events of war and state-sponsored acts of terror.” Of particular interest to me was the unexpected pairing of warrior images with birth in 42:13-14. Both point to God’s ability to do something new; each is transformed by the juxtaposition. “ . . . even though both the mother and the warrior are in danger and hence quite vulnerable, both are exceedingly strong. The cries and panting of a woman in labor is not a sign of weakness but of strength; a sign of her determination to ensure that her child enters the world alive and healthy” (p. 56). Ultimately God’s role as Mother is one of nurture and care; it reminds us of the possibility for an alternative world and invites us to be part of it. The metaphor of God as Midwife comes from Psalms 22 and 71 but also harkens back to the two midwives in Exodus 1:15-22 who save Moses from death. It is an intimate image, God present in the midst of birthing anguish, nearby and able to assist in bringing forth something new. Claassens calls on her readers to become midwives. “Instead of more violence, greed, and self-centeredness, we need women and men who work diligently to bring life into situations of darkness and despair, working selflessly for the good of the most vulnerable, serving as midwives for peace and justice” (p. 79). 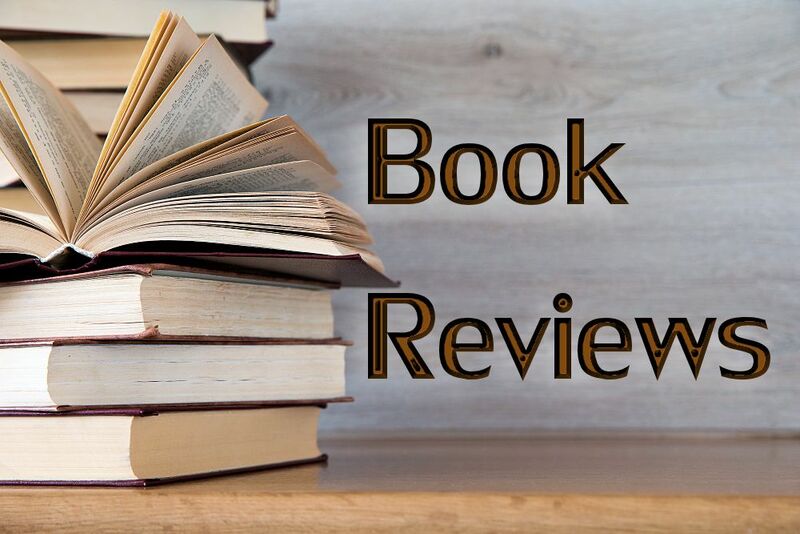 Claassens provides substantive applications for her material in the final chapter by exploring how it might relate to the September 11 terror attacks and to the Holocaust. She closes with a few suggestions for incorporating awareness of the three metaphors into education and worship. With this insightful book, Claassens has articulated a female trinity for our times, when there is so much violence and trauma all over the world. I began reading this book as tensions escalated between Israel and the Palestinians soon after the three kidnapped Israeli teens were found dead, so it was easy to embrace the “subversive voice” that presents a God who weeps at suffering, cares for the hurting and needy, and works with us to bring about positive change. 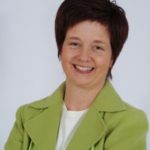 Peg Conway is the author of Embodying the Sacred: A Spiritual Preparation for Birth and presented on this topic at the 2014 EEWC-CFT Gathering. A resident of the Cincinnati area, she writes a blog called Sense of the Faithful and serves on the local village council.